Pottery is big in the Bible. No surprise since pottery was highly useful (as it is now) and was pretty high tech. Having taken a class in high temperature materials back in my mechanical engineering days, I can confirm that pottery-making/ceramics is still high-tech. Pottery also has a lot of metaphoric value. The passage starting in II Corinthians chapter 4 speaks of humans as being “jars of clay.” Of course there is a semi-literal sense. We are described as being formed of the dust of the earth (which, in itself, is a semi-literal metaphor). Additionally, pots are both fragile and durable. They break easily, but also potentially have the ability to last pretty close to forever, and protect their contents pretty much forever. But what do you do with a flawed or broken pot? 1. Reform it. This is before firing in the kiln. The base material (clay or mud or whatever) has not been hardened through heat. Romans 9:19–21 speaks of this in terms of God being the potter and we being the moldable medium (like clay). Isaiah also uses this theme in chapters 29, 45, and 64. The idea is that God has the ability to determine our own form as He chooses. A problem with the metaphor is that it suggests that transformation is only realistic at the beginning. Once it is fired, it can’t be remade. Of course, that limitation was based on the technology of the time… not necessarily suggesting that transformation in a human life is impossible later. Transformation at a later date in the Bible is described in other ways such as being born again or being made a new creation/creature. 2. Accept the destruction. If it is flawed, or cracked, it can be destroyed. The last chapter of Ecclesiastes describes a broken pot as a metaphor for death. Job uses the question of God returning fired clay back to unfired clay (“dust”) as being metaphoric of his being destroyed by God (Job 10:8-9). In the Philippines we have a game, “Pukpok Palayok.” Earthenware used as inexpensive serving dishes (“palayok”), are filled with goodies and hung on a string to be broken as a game (similar to the pinata). Near us there is a restaurant Isdaan where one can pay to break dishes and other items (a bit like the Greek tradition of breaking dishes as a form of expensive celebration). One is reminded of Romans 9:22. In this passage there is the implication of pottery… “…vessels of wrath prepared for destruction.” Some use this to suggest that God elects some to hell. While such an interpretation is consistent with the passage, it is not the only interpretation… and one has to address passages where God’s love and sacrifice is described as made available to all. But of more interest to me is what one does in accepting the destruction. Commonly, the broken pieces are thrown out. Sometimes they are utilized as shards. Job used pieces of broken pottery to scrape his diseased skin since the edges are sharp and rough… having not had opportunity to be eroded down. However, more recently, broken pottery has been found useful by archaeologists to gain great insight about ancient cultures. Their fragility caused them to be thrown away, while their durability ensured the pieces remain to enlighten about things that have otherwise faded away. Deceptive Repair. 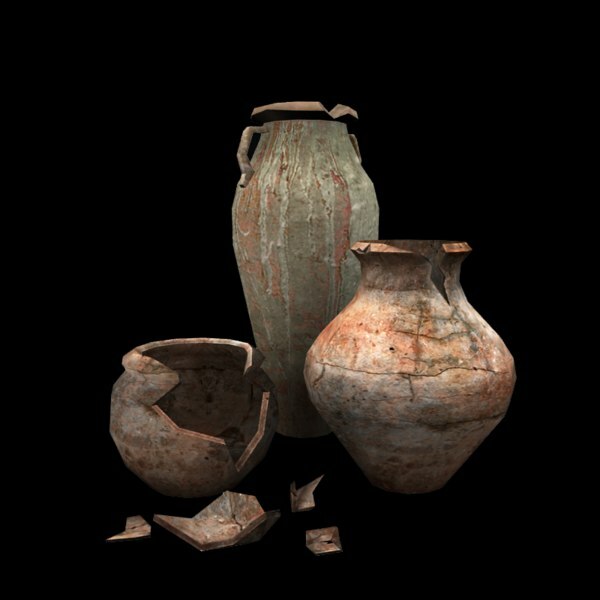 In ancient times, broken pottery can be repaired with wax. The wax can be blended in so that it is hard to see that it is repaired. If a person bought it and put hot water in it, the wax could melt and the pottery fail. One could sometimes look into the interior of the vessel and see if light sneaks in along waxy seams exposing the deception. Vessels that were not deceptively repaired were described as “sine cera”– without wax. We get the term “sincere” from this. Several times the expression “without wax” is used in the Bible in this figurative sense. One of these is Philippians 1:9-10 where we are told to be “without wax.” We are not to have our flaws deceptively (insincerely) covered. Functional Repair. In more recent times, there have been improvements in adhesive technology, and it is possible to have functional repairs. Some epoxies can restore the pot to where it can be used for its original function. If the pot is decorative, of course, “super glue” can be enough (or wax as far as that goes). However, in these forms of repair, the goal is to still hide the flaws. The goal is still to make it look as much as possible like it did originally. Beautiful Repair. 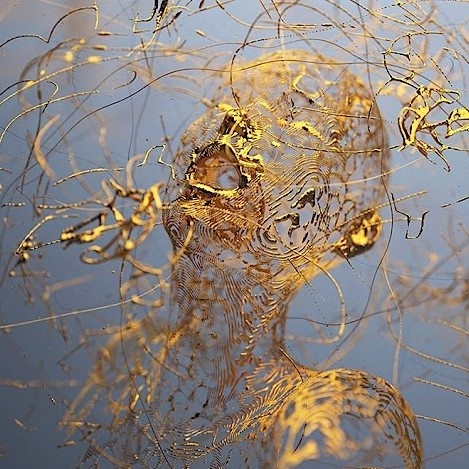 “Kintsukuroi” (“golden repair”) seeks a fairly functional repair… but the interesting thing in it is that the flaws are accentuated, not covered up. The idea is that the “flaws” repaired serve as a form of beauty that the unflawed vessel lacked. They demonstrate the artistic skill of the repairer. 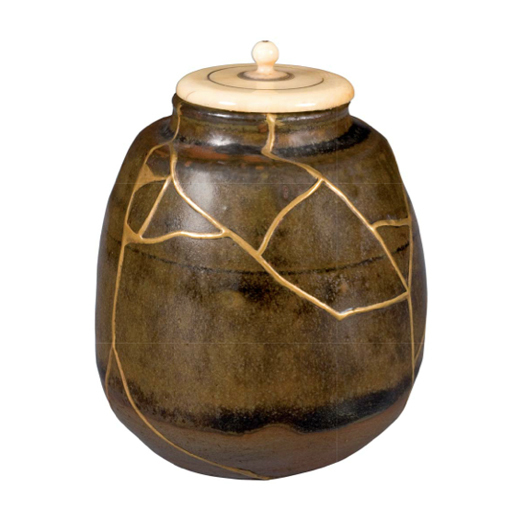 It is said that some Japanese artisans would intentionally break pots so that they could then repair them in this manner. I would like to suggest that Kintsukuroi is a useful metaphor for our lives as Christians. While moldable clay shows God’s role in creating us… making us beautiful in His eyes… Kintsukuroi describes how God transforms our broken lives. The transformation does not restore us to our original condition, but to something better. The repairs are not to be hidden, deceptively covered up, but visible to demonstrate the power and the skill of God who restores and transforms things to a more beautiful, glorious state. It is entirely possible that we glorify God most NOT when we appear to have no flaws, but when those flaws point to God’s power and glory in their evident repair. A lot of Christian workers and churches like to appear to be unbroken… but people know that breaks are there… hidden. They know Christians and churches have waxy seams. We need a different direction. Don’t hide our brokenness. Demonstrate God’s power in our brokenness. Missions History of the East– Can These Bones Live?